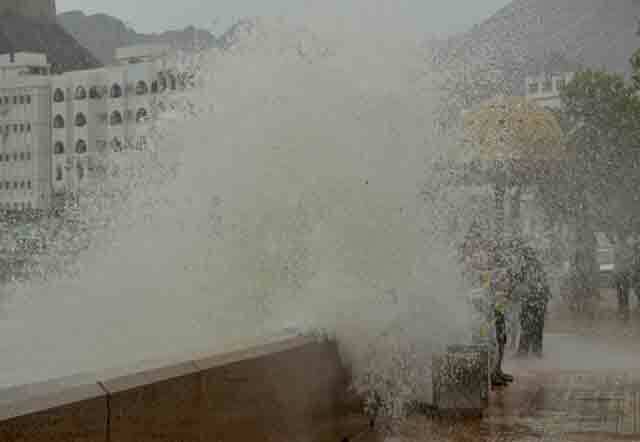 Muscat/Al Ain: Tropical storm Phet hit Oman, causing landslides and floods in the eastern part of the country and halting oil and gas production, before losing intensity on Friday. Heavy rains drenched Oman’s east coast as strong winds uprooted trees and signboards. The Oman News Agency said that army forces were deployed in the region as civil defense rescued three people from an area engulfed by floods in Wadi Sal valley. Meanwhile, Oman halted its oil and gas production due to bad weather as Cyclone Phet hit the small oil-producing country's coast, but no facilities were damaged, DPO and Oman LNG spokesmen said on Friday. "We won't load any oil because no ship is able to anchor at our facility due to rough seas," a spokesman for state-controlled Petroleum Development Oman (PDO), an affiliate of Royal Dutch Shell, said. “I have never seen rains like this in the seven to eight years I have lived here,” Eugene M. Joseph, operations manager at Al Askara Youth Hostel, told Gulf News over the phone as he prepared to leave the small town on the east coast. Winds with the speed of 110km/h lashed Masirah Island late Thursday as incessant rains continued to drench the island that is home to green turtles. Tropical Cyclone Phet continued to move west of the Arabian Sea at latitude 0.20 degrees north latitude and 0.59 degrees east as the cyclone category was lowered to category two with the eye of the storm about 70km away from Masirah Island, according to the Directorate General of Meteorology and Air Navigation in Oman. The tropical cyclone is moving towards Masirah at at speed of 15km/h and forecast to touch the east coast of Oman in the early hours of Friday. The met office in Muscat had also forecast exceptionally heavy rainfall accompanied by thunder over Muscat, Batinah region and Buraimi in the next 48 hours. Joe Coelho, General Manager at the Swiss-Belhotel Resort on Masirah island, told Gulf News over the phone that “over 85 per cent of the island is evacuated, mostly women and children”. Some weather forecasters, however, predicted that cyclone Phet could weaken and turn towards the Indian coast. As residents waited apprehensively for the cyclone to hit, most businesses in Muscat downed their shutters in the afternoon so that staff could get home early. 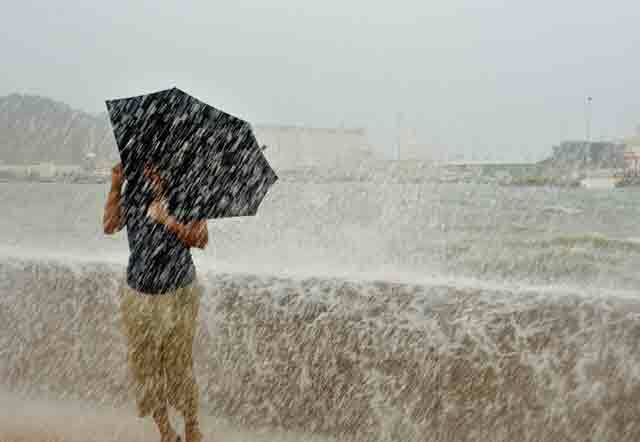 In Al Ain, the national weather bureau has repeated its warning asking people to stay away from the sea. In a weather alert issued on Thursday afternoon, the National Centre of Meteorology and Seismology (NCMS) said strong winds with speed of 65 kilometres per hour were expected to hit the east and southern coasts of the UAE early on Friday accompanied by showers. The NCMS also warned fishing and other vessels about tidal waves and strong winds. People living on the coastline have also been asked to take precautions.